The Student Success Centre and Graduate Studies have introduced new positions for 2019-2020 to support the academic, personal and professional success of international students. 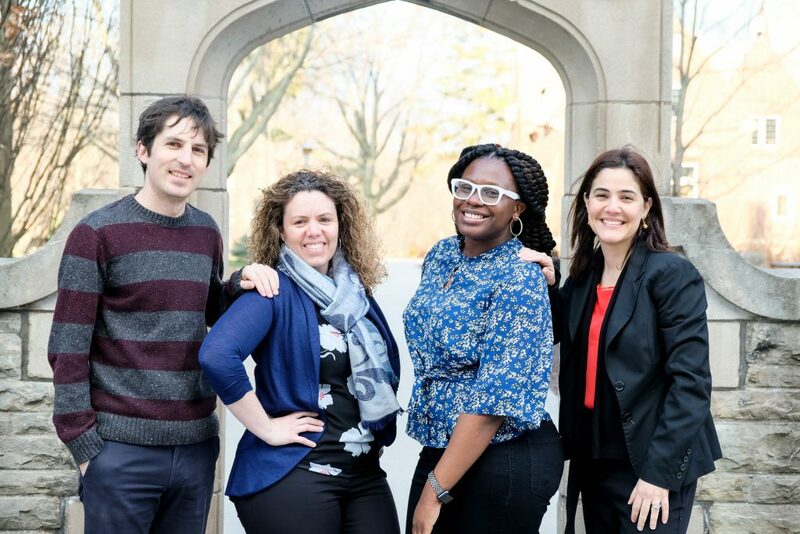 Ana Pereira has supported McMaster’s international students for eight years. In this role, she helps students adjust to their new lives at McMaster and in Canada through transitional services, personal development and the International Student Buddy Program. “Being an immigrant myself, I understand many of the challenges facing students and love helping them feel comfortable in this new place they now call ‘home’,” Ana says. Francesca Hernandez joins the team in this role and will focus on establishing campus-wide partnerships that can support and contribute to the development and success of international graduate students. “We want to ensure that the academic, social and cultural needs of international graduate students are met through new programming and engagement opportunities,” Francesca says. In addition to programs and services, one-on-ones are also available. Andrew Staples, student success coach, will support both graduate and international students with their academic concerns, financial difficulties, transition, and navigation of university life. This position will support students on an individual basis and provide a more seamless support system. Lajipe Sanwoolu, immigration and mobility advisor, can provide immigration consulting from both an inbound and outbound perspective, including international and domestic students who are interested in working in Canada or abroad. International students provide an invaluable knowledge and perspective, both in and outside of the classroom. Lajipe’s role will support developing relationships between international students and employers, providing education about international hiring and dispelling hiring misconceptions. Appointments with Andrew Staples and Lajipe Sanwoolu are bookable through OSCARplus. For those interested in collaborating on initiatives to support international student success, email iss@mcmaster.ca.